Fidelity Bank Maryland Mortgages Refinance Mortgage MD, Fixed or Adjustable Rate Conventional, Loan Officers FHA or VA Loans Refinance, Montgomery, Howard County, Carroll County, Baltimore, Eldersburg, Sykesville We lend in Delaware, Florida, Maryland, New Jersey, North Carolina, Pennsylvania, South Carolina, Tennessee, Virginia, Washington DC, and West Virginia. At Fidelity Bank Mortgage our focus is to find the right mortgage to fit your needs. Our years of experience can help you choose the right loan from many options available. 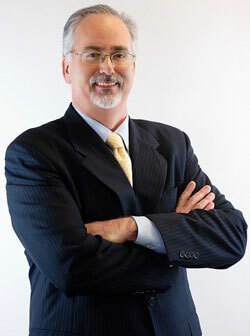 James Adamson, VP / Senior Loan Officer has over 20 years experience as a mortgage banker. This extensive experience gives James a unique perspective and understanding of what it takes to get the loan approved. He knows how to smooth the entire loan process. James understands what it takes to get the loan approved and has helped over 4,000 families with their financing needs. James is committed to customer service and his product knowledge has earned him recognition as an industry leader. Whether you are a first time homebuyer, a real estate investor, or looking to refinance your current mortgage, James has the answers you have been looking for. James’ knowledge of mortgage banking means you will be dealing with an accurate, honest, and experienced professional. “Up front,” straight talking and knowledgeable, he knows how to smooth the entire loan process, and get you into your new home fast. Call or visit James today and let him show you why Fidelity Bank Mortgage is known for personal service and great rates! WHAT YOU GET WITH US! Full access to underwriting staff for scenarios, questions, etc. You may also call us outside our normal working hours and leave a message on our voice mail. We will try to contact you as soon as possible. Fidelity Bank Mortgage assists homeowners throughout Maryland including Howard County, Carroll County, Baltimore County, Baltimore City MD, Frederick County, Montgomery County, Harford County, Anne Arundel County, Prince Georges County and more. We also lend in Delaware, Florida, New Jersey, North Carolina, Pennsylvania, South Carolina, Tennessee, Virginia, Washington DC, and West Virginia. James spent years with 1st Mariner Mortgage, Capital Mortgage Finance Corp, Fidelity and Trust, Fidelity Bank Mortgage and has the experience to get the best loan for you.